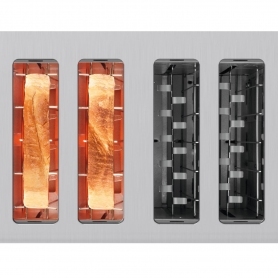 The removable crumb tray is quick and easy to take out and clean, keeping your kitchen surfaces spotless. 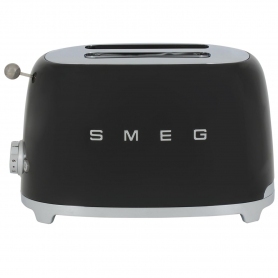 For added security there is an automatic safety shut off feature, and the cord can be stored away, leaving you with a clutter free worktop. 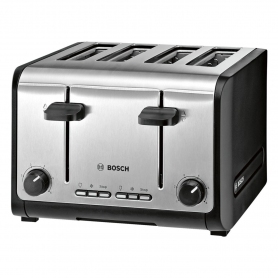 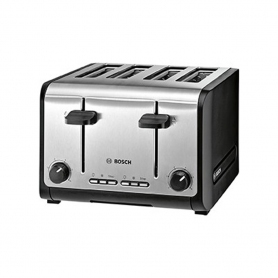 For the perfect family toaster, try the Bosch City TAT6A643GB today.